My trip to Morocco with Steve Davey was truly inspirational and one of the best trips I have ever been on. During the trip, Steve gave me a great insight into what it takes to be a great travel photographer. He willing shared his expertise with all the group throughout the day whilst we took photographs and gave talks most evenings. Personally, Steve has help me improve my photography both technically and artistically – I particularly remember him pointing out a great photo opportunity in Casablanca which he taught me to anticipate and take the photo I want rather than missing the opportunity. On top of all of this, Steve is a very charismatic and funny guy who is great fun to travel with - I would definitely travel with Steve again! The Better Travel Photography range of travel photography tours are bespoke photographic holidays, designed and led by Steve Davey, drawing on his years of experience and intimate knowledge of some of the most fascinating and evocative parts of the planet. This comment from a recent tour more than anything sums up what Steve is trying to achieve with these tours. Yes, we want people to learn as much as possible about photography, but it is also supposed to be enjoyable! These travel photography trips will benefit your photography in a number of ways. Firstly you will be exploring some of the most incredible and photogenic parts of the world on a tour designed around photography and maximising the photographic opportunities. You will also be in the company of other keen photographers, benefitting from their enthusiasm and experience and certainly not look down upon for wanting to spend time taking pictures. Lastly you will benefit from the expert tuition and encouragement from Steve Davey - a professional travel photographer. Steve mixes nightly illustrated talks, personal tuition and practical demonstrations so you learn more about travel photography than you ever thought possible. As Steve is trying to juggle his professional and family life with running these tours we are only planning three or four departures a year. The key for these trips is coming up with unique and stimulating travel photography experiences, so the itineraries and destinations will regularly change. Our current range of tours is below. Click on an image to see more. 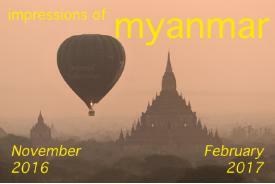 Our first trip to the entrancing country of Myanmar (Burma) went so well that we couldn't wait to start planning a return. It also means that we have massively tweaked the itinerary, to offer more photo-opportunities and to cut out the things which didn't work as well the first time around. We still visit Yangon, Mandalay, Bagan and Inle Lake; but we will also be exploring the religious complex at Monywa and drive up into the Chin Hills to see the remarkable tattooed tribes. We realise that this trip is going to be so popular that we have organised two separate dates at the end of 2016, and the beginning of 2017! To see more click here. 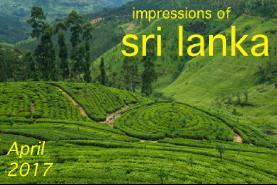 Our first photography tour to Sri Lanka will take in the best of this exotic country. We will visit many of the great historical sites, head up into the central hills to photograph tea plantations, visit historic towns and explore some of the incredible wildlife sanctuaries. This includes Minneriya which is noted for its elephant population and Yala where we hope to see Leopards. This trip includes a village trek, and the chance to join pilgrimsclimbing Adam's Peak. To see more click here. 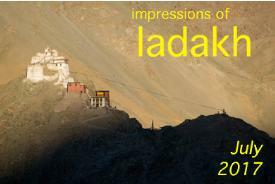 We love Ladakh, and are really excited to be heading back again in 2017. We have extensively changed the itinerary though: this time, as well as the incredible towns and monasteries of the Leh Valley, we will be exploring the Nubra Valley, visiting the Zanskar Festival and driving the Srinagar-Leh highway to the town of Srinagar and staying on Dal Lake. To see more click here.